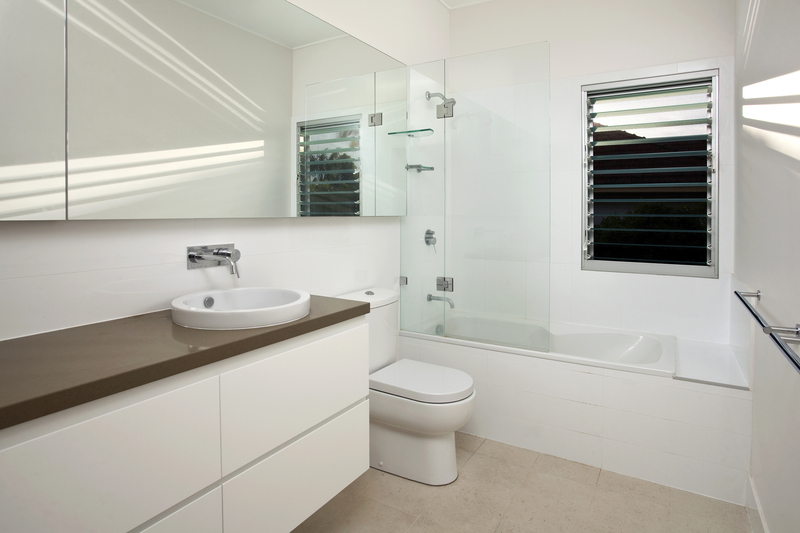 Below is a guest post on the important subject of getting your bathroom properly lit. Like any other room, the bathroom should have layers of lighting to use that is separately switched depending on the functional needs of the space at any given time. Your day starts in your bathroom. Why settle for anything less than the best? Unfortunately, most bathroom lighting is completely neglected, leaving the room feeling sterile or depressing — and not allowing yourself to see you in good light. Instead of simply accepting it as it is, use these ideas to light your bathroom to give you a bright start to your mornings. How many bathrooms have lights directly on top of the mirror? While ceiling lights are perfect for providing good visibility, they’re hardly romantic or helpful when you have to groom up close. Because of the stark shadows they create, applying your make-up or shaving your face can be extremely hard to see. Instead, turn to lights that fit on the sides of the mirror. These include sconces, bath bars and vanity lights. They are far better for lighting the face in a way that lets you successfully groom. If there happens to be no room for side lighting, opt for a horizontal vanity light to fit across the top of the mirror. The best are those with bulbs of different shades to maximize clarity. Another way to spruce up the bathroom is to mimic natural light. Even if you have a window, the sun may or may not ever stream into the bathroom. Aside from this, daylight is what will reflect off of your clothes and hair so trying to capture its essence is important to making sure you are ready to take on the day. 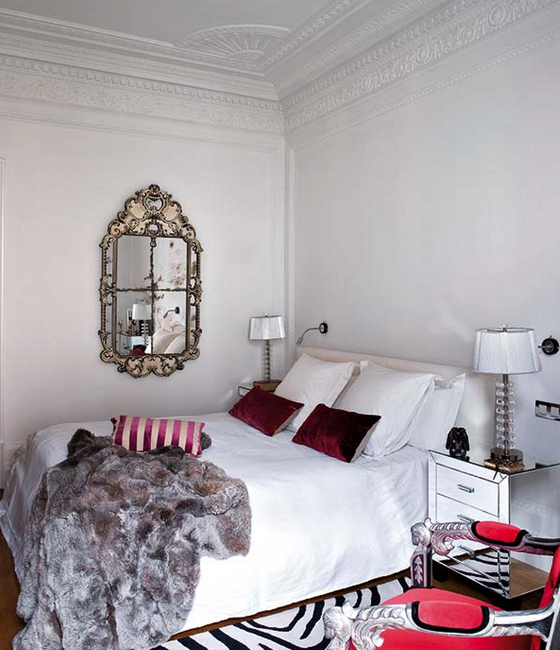 For this choice, you’ll want to invest in white shades that are clear, frosted and any other option. This, however, will depend on the type of bulb you use. The varying kinds render colors differently so not all “white” categorizations can be trusted. For LEDs, go for temperature ranging from 2700K to 3000K. Compact fluorescent bulbs should always have a color rendering index at or above 90 and should have the same temperature range as the LED. Finally, incandescent bulbs must be labeled “white” or have the previously indicated temperature range. Finally, it’s important to remember that the bathroom is not always a room used for getting ready for the day. In fact, it is often used for bubble baths and other relaxing activities. Because of this, you’ll want to make sure there are at least two settings for the lights. This, however, can be achieved through more than just extra lighting fixtures strewn about. For those who like what they have, install a dimmer. With this, you can control the intensity of the lights. For those that like a lot of decorative additions, bring in flush ceiling lights or small chandeliers to act as relaxed mood lighting. 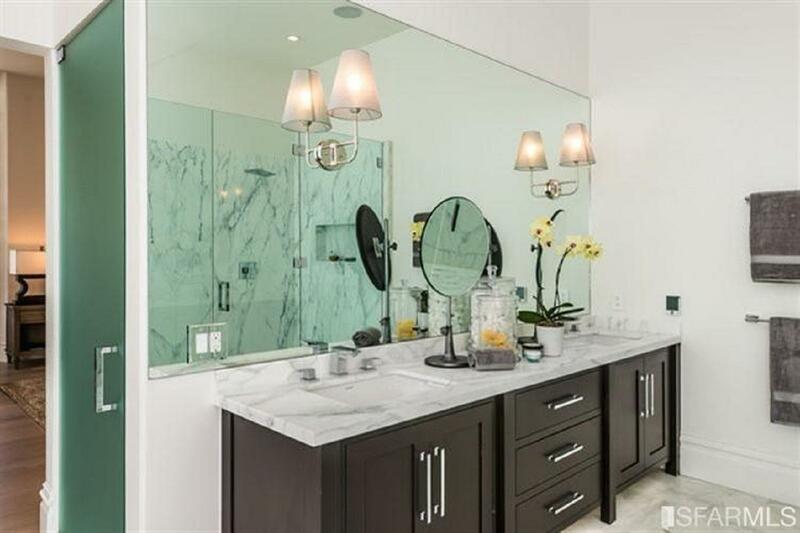 Even more than this, lamps can be brought in, assuming there is enough counter top space. To learn about more creative ways to light up your home, visit Modernize.com. Home Design That Welcomes The Outdoors IN! Finally the weather is turning a bit more pleasant. Spring has sprung in much of the country (or will soon……). S Interior Design is based in Arizona and it is definitely time to enjoy the outdoors before the triple digit temperature arrives. 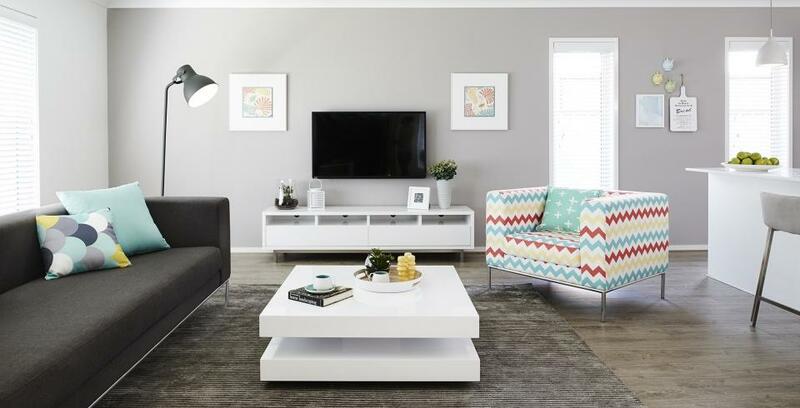 Below is a guest post about a home renovation in Australia that fully recognizes the opportunity to meld the outdoors with the interior spaces. Quite beautiful! Brisbane is blessed with a gorgeous sub-tropical climate that lends itself to an outdoor lifestyle, and the suburb of Clayfield is a perfect example of this desire to spend time connected to nature. So it’s not surprising that the owners of this pre-1946 Californian Bungalow requested that Dion Seminara Architecture create for them a home that would fully take advantage of the predominantly fine weather. 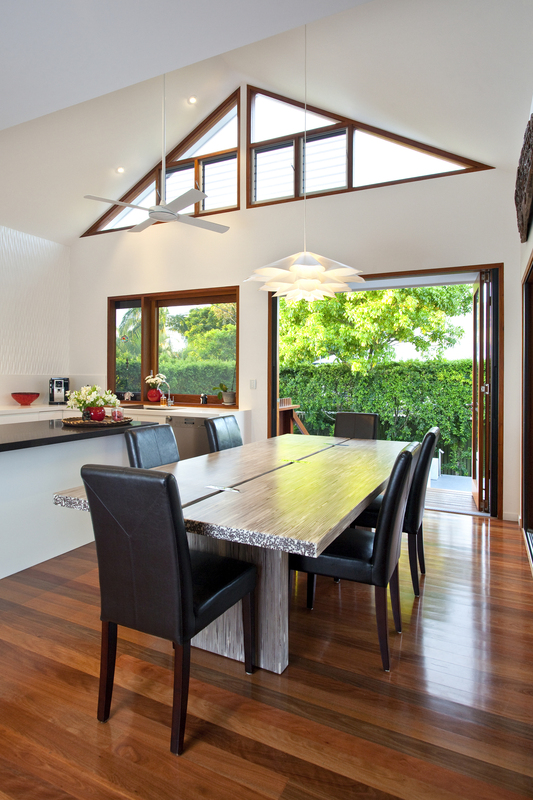 The renovation involved an addition to the rear of the existing home which consisted of a dining space and a stunning new kitchen. 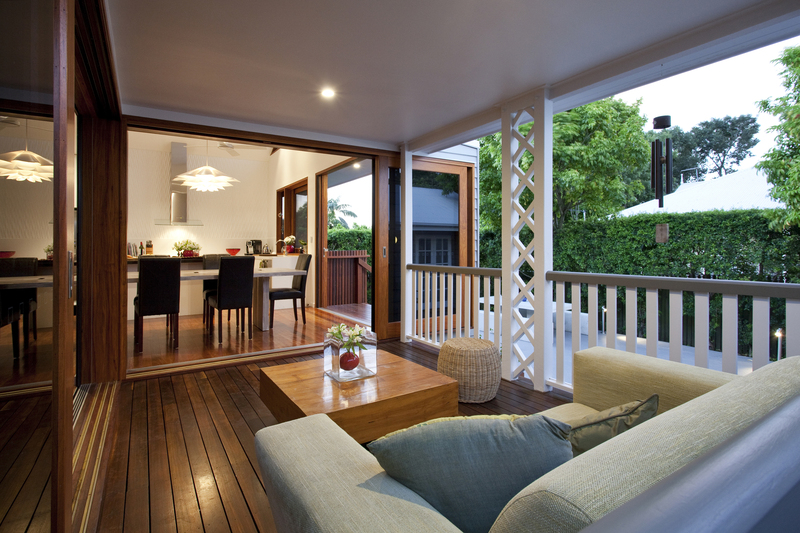 A deck and courtyard were built at the rear of the home with sliding doors from the kitchen/dining room opening the home up onto this area. The result of this is immediately noticeable as the transition from inside to outside is seamless, resulting in a feeling of freedom and a connection when entertain in the courtyard area. On those days that are less than ideal due to rain or the occasional cold change, the interior of the home can be closed off creating an intimate space that is warm and comforting. At the front of the property a new double car port blends into the existing home, with a remote-controlled gate sealing off this area from the street. A new gate and gatehouse added to what already was an appealing streetscape and the re-landscaped front yard now takes on the appearance of a pleasant little courtyard itself. Inside the little used main bedroom and hallway were originally the main beneficiaries of the prevailing north-east breezes that cross the property. Given that not much time was spent in these spaces they were renovated to create a gorgeous, naturally ventilated new living area that features an abundance of natural light. 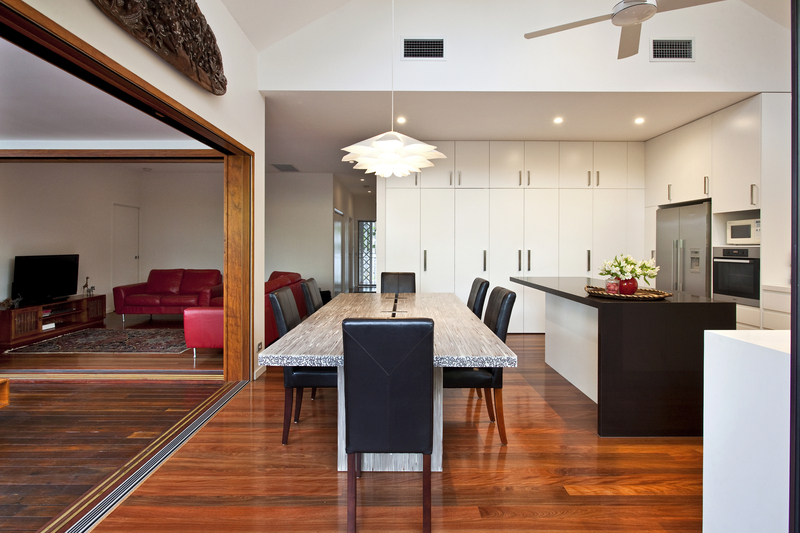 Creating a truly inviting space that thanks to the air-flow and natural illumination, further enhances the feeling of connection with the great Australian outdoors. 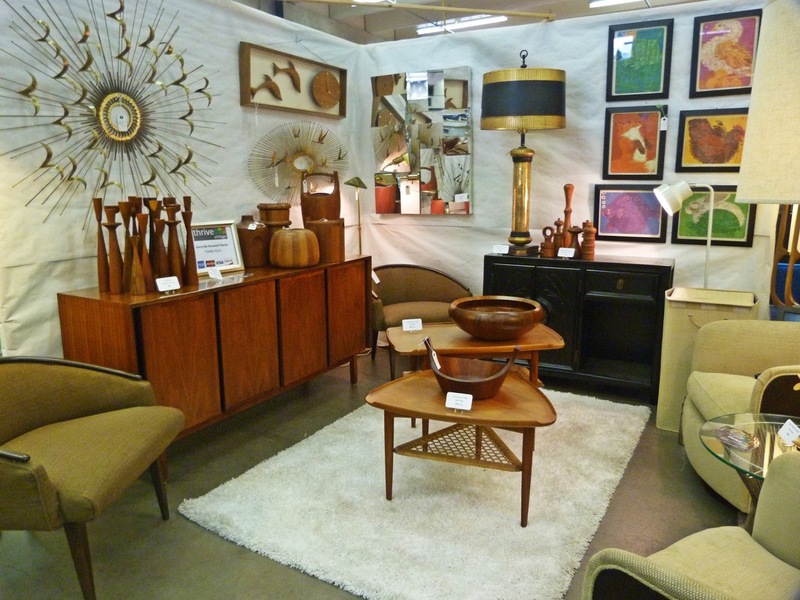 Below is a guest post on the subject of mixing modern and vintage decor style. 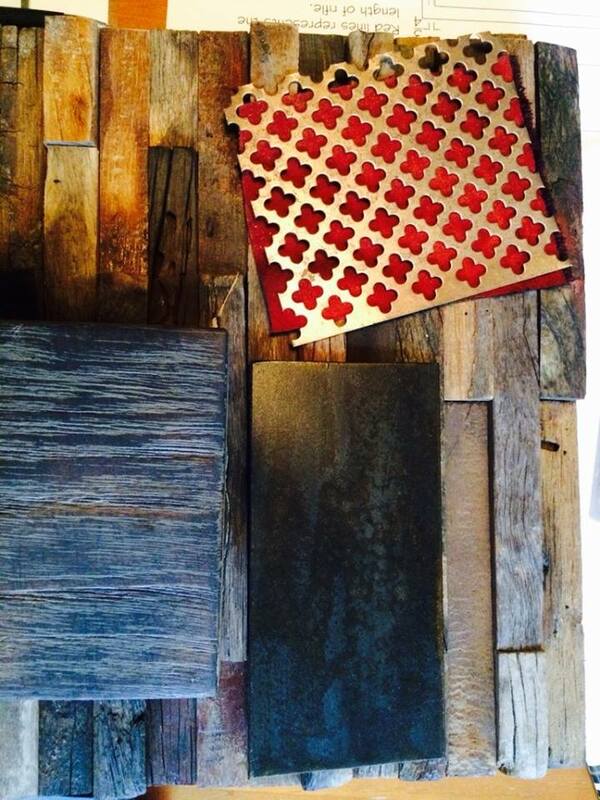 S Interior Design is a big fan of mixing design styles within a home. 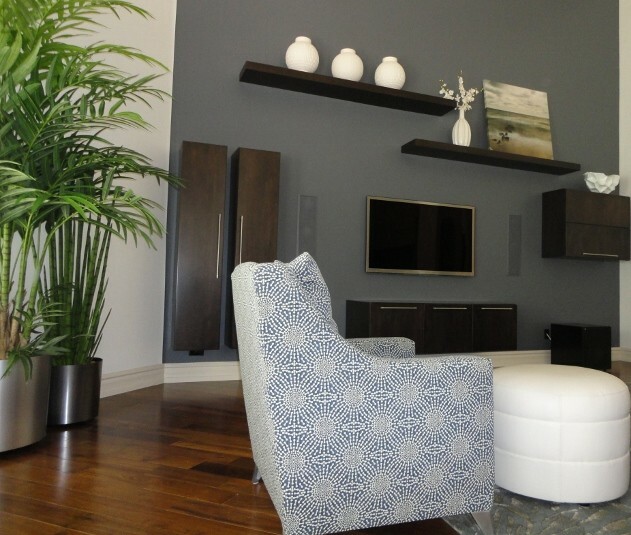 By mixing styles of decor you create a unique environment that is a true reflection of your personal style preferences. 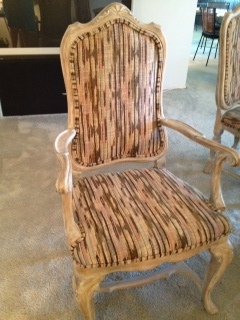 So mix away, use Grandma’s antiques with a modern Knoll chair without fear. You love the look of modern decor in your home, but you just can’t toss out all those vintage pieces that you’ve collected over the years. Instead of choosing one of these over the other, why not choose them both? It’s absolutely possible to blend these two styles together to create a home that feels unique, special and welcoming. All it takes is a little bit of creativity, some time spent experimenting with decor placement and some great pieces that you love. No longer do homes have to have the “perfect” decorations that are straight from the showroom. Don’t be scared to let your personality show by putting unique pieces of decor throughout it. This could be a chest that you picked up while traveling in Spain or a modern number wall clock you found online. When people walk into the room, they should want to explore all the different things that are there. Not only will this make the room more interesting, it will also give you a lot of conversation pieces. Tip: While your decor doesn’t have to be perfect, you should avoid having a lot of clutter that makes your space look messy. Don’t leave your couches or chairs bare. These are the best spots to add modern or unique pillows or throw blankets. For example, if you have replica furniture from a modern designer, then put on some pillows with pillowcases made with Victorian prints or old throw blankets you picked up from an antique shop. Mixing and matching these two things together will balance out the harshness of the modern design with the warmth and richness of the vintage design. 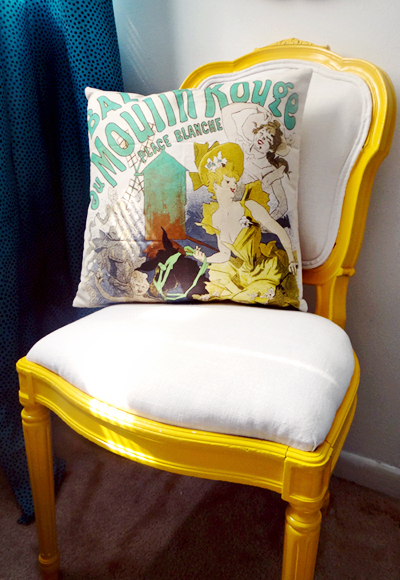 Tip: Make your own pillow by going to a fabric shop and choosing rich fabrics that look like they are from different time periods. 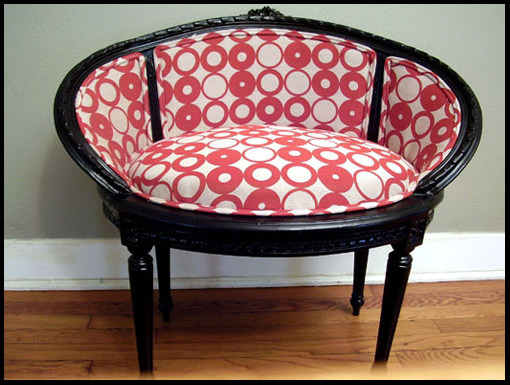 If you have vintage or old pieces of furniture that you don’t mind changing permanently, then re-upholster them with modern fabrics. If you do this then you will be left with unique pieces of furniture that nobody else has! 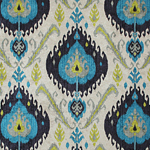 The best part is that they will mix the design of the antique furniture with the boldness of the modern fabric. Tip: Paint the chair if it doesn’t match the colors that are in the fabric to make sure that it’s a statement piece in the room. 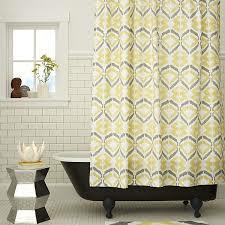 If you have an uneven balance of modern and vintage, then change out something like the curtains. Right away it’ll make a big difference with the way your room looks, and will balance everything out quite well. And, if you get a colorful curtain, it will really brighten your room up and add a pop of color that makes it more interesting! Curved mirrors, new knobs on drawers and wallpaper are all small touches that can make a big impact in the overall appearance of your room. These are also the small touches that give the room more personality and showed that you put a lot of thought and effort into the details!